Another mountain has been conquered for Christopher Ward. See the story of Mount Trident here. This is the second expedition and the second mountain conquered by the CW Challengers. The original Mt. Christopher Ward story can be found here. Many congrats to the climbers. Am the only one to see this whole "Mount Trident" thing as being another faintly ridiculous/spurious advertising excercise? "The only watch company with two mountains named after us, Christopher Ward is delighted to name this peak ‘Mount Trident’ – although Struan Chisholm and the team who climbed it joke it could be called something else…"
Is this real/joke etc....Have I had a sense of humour failure and am missing something??? There is actually a Mount Trident in Alaska! Congratulations on climbing the mountain. My post from May 2013, suitably updated, stands however. scooter wrote: "Whilst I applaud CWL in sponsoring this valiant expedition I'm assuming that this is a tongue in cheek comment. If not I would love to know what the legal position is for Chris to declare this. Has this been discussed and cleared with the authorities in Kyrgyzstan? I'm not sure that the Welsh authorities would be keen for example on naming one of their Beacons in Kyrgyz merely because a group of walkers from Kyrgyzstan sauntered up it on a chilly day. Fair effort climbing it, so well done. However, the whole Mount Trident thing is just another in a long line of CW-related facepalms for me. Kip wrote: Another mountain has been conquered for Christopher Ward. See the story of Mount Trident here. Kip, both of these links are taking me to the same thread. Thanks Kip. A good read. I still think Smiths pulled off the biggest coup getting a mountain named after the Everest. If Chris' name had been Krysztof we could have had the K2. Amor Vincit Omnia wrote: Thanks Kip. A good read. Not sure which of this mountain malarkey or the scrap metal watches is the silliest idea. I'm not trying to be a sour apple amongst all of you (presumably) good apples... but I see these things differently, and I think the disdain is generally misguided. What CW are doing, considering the scale of their operations, is very admirable. They are not a behemoth like Rolex or Breitling... or any of the other over-priced, billions-in-advertising brands. They are small and community driven. > To that end, regarding the Expeditionary Group, they chose to help, in whatever way they could... supplies, timepieces, travel expenses... who knows... a small group of ambitious men who had a dream. A group who would, almost certainly, NOT have even received a return phone call from any other brand. So kudos to CWL for doing anything at all! > As far as the Art Metal pieces go... similarly, they are taking 3 different philosophical ideals and turning them into something accessible, in some way, to people who this sort of thing might speak to. Art, History and Horology. If it doesn't speak to you, it doesn't (it generally doesn't speak to me either). I appreciate it for what it is, and I have not seen any other watch maker do anything similar. Slapping a Bentley logo on a Breitling doesn't draw the two brands any closer in terms of execution... yet nobody seems to talk about the absurdity of it. Same for any other cross-branding ... At least CWL is reaching into their small community of followers and partners and enabling them. Kudos! FYI: Bremont sells the Regatta OTUSA Sailing watch for ~$7000 and it has a small piece of the America's Cub winning Sail Boat in the crown... a piece of the f***ing SIAL... like, a negligible amount of material embedded in the crown. ... thats what you get for $7k US. vonKemper wrote: I'm not trying to be a sour apple amongst all of you (presumably) good apples... but I see these things differently, and I think the disdain is generally misguided. What CW are doing, considering the scale of their operations, is very admirable. They are not a behemoth like Rolex or Breitling... or any of the other over-priced, billions-in-advertising brands. They are small and community driven. It is the absurdity with which they are babbling on about the naming of the two mountains that is creating a stir. The art metal pieces are what they are. Some value the teeny tiny piece of whatever is in the watch, some don't. Many manufacturers are doing it. As for Bentley and Breitling. 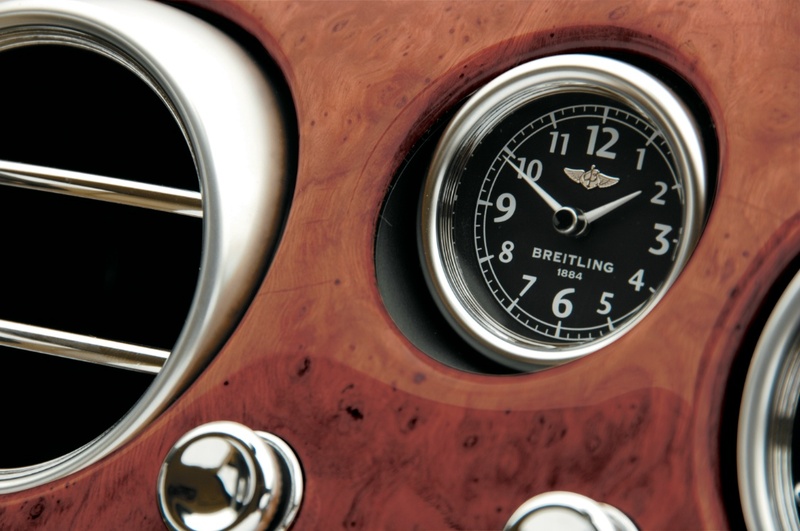 No one is just "slapping a Bentley B" into the dial. The two manufacturers are extremely close. The Bentley Drivers Club also has extremely close relations and numerous events with Breitling participation. vonKemper wrote: FYI: Bremont sells the Regatta OTUSA Sailing watch for ~$7000 and it has a small piece of the America's Cub winning Sail Boat in the crown... a piece of the f***ing SIAL... like, a negligible amount of material embedded in the crown. ... thats what you get for $7k US. They are "cashing in" on an event that they have spent a fortune sponsoring, so there is a more than a tangible link there. The sail is at least from one of the sponsored boats and the crew all wear the watches. No idea how you can criticise this while defending CW on its scrap metal stuff. I think the UK retail is £4,995? - didn't realise it had some extra stuff in it, just thought it was a Small run LE at a price that didn't look particularly out of line for what it was. So doesn't look to me as if Bremont have loaded the price. I see no disdain here – there is a little gentle ribbing or Mickey taking, but we do that all the time. I am afraid it is what passes for humour over here. Not exactly literal. Real disdain is usually signalled by comments like "slightly annoying" or "not my cup of tea".